Mr. Don Dillon is a proud member of the Business Brokers of Florida (BBF) and a business broker in Palm Beach Gardens. This exclusive organization carefully selects their members for quality service and knowledge within the real estate profession. BrokersBiz regulates its members to an exacting standard, rules, and code of ethics. (BBFMLS.COM). Dillon is a member of The Florida Realtors National Association of Realtors FAR/NAR, the Jupiter Tequesta Hobe Sound Association of Realtors, and the Regional MLS; each of which allow Dillon to best serve members and clients. Don Dillon is a Real Estate Instructor with over 21 years of committed service, 15 years of which are with the largest private School of Real Estate in the South Florida area. He teaches all of the State required pre and post licensing courses, and continuing education classes for both Sales Associates, and Broker candidates and licensees. Dillon specializes in a “State Cram Review” class for candidates just prior to their state exams, to help them pass their licensing the first time at the state level. He is a LICENSED REAL ESTATE INSTRUCTOR through the State of Florida. Being the best business broker in Palm Beach Gardens, Don Dillon offers a wide variety of services that benefit his clients in finding any available business for sale in Palm Beach, Florida, gas station for sale in Florida, convenient store for sale in Florida, and much more. 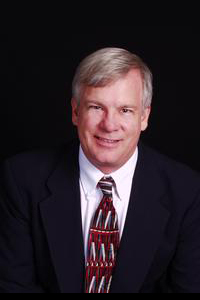 Don Dillon has become the best business broker in Palm Beach Gardens as a result of years of dedicated service, buying or selling a business in Florida, for his clients. Dillon is an expert at locating appropriate businesses and cash businesses for sale in South Florida to meet every budget and industry to meet his clients’ individual needs. Contact Don Dillon today for a consultation with the best business broker in Palm Beach Gardens.